So far during the 2014-15 NBA season, 408 players have played in at least one game and no state has produced more of those players than California. 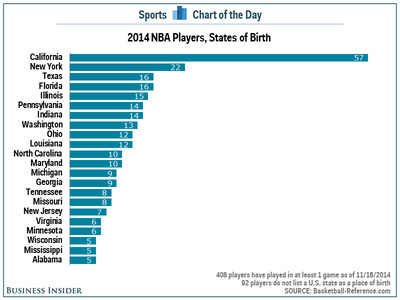 Of the players listed as active NBA players at Basketball-Reference.com, 57 (14.0%) were born in California. 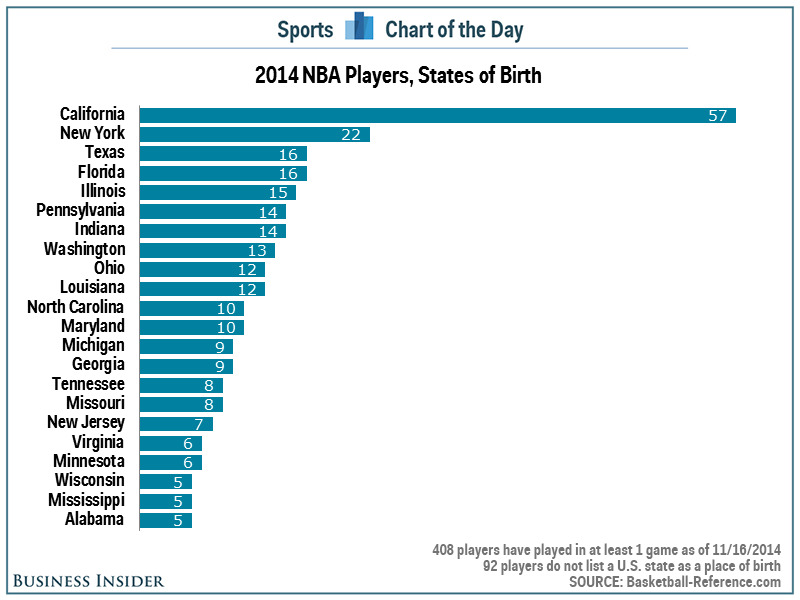 New York (22) is the only other states with more than 16 active NBA players. California (no. 1) and New York (no. 3) rank as two of the three most populated states. The two biggest upstarts on the list would be Indiana (16th in population) and Louisiana (25th). Meanwhile, Connecticut (29th in population) is the largest of the 11 states with no players in the NBA.